General Admission Tickets will be available at the gates starting at 9:45 on the days of the show. CLICK HERE to purchase online. Cost: $15 for adults, children under 12 FREE! Special Access Passes, which include free parking, a 3-day pass, an invitation to the Exhibitors-Only Party, and a VIP gift bag are also available for purchase. CLICK HERE to purchase online. Cost: $75/single and $100/couple. Children & Strollers: Please note that children are very welcome, but no strollers are allowed on the docks. Weather: Rain or shine the show will go on. Pets: NO PETS allowed. Please make other plans for their care. 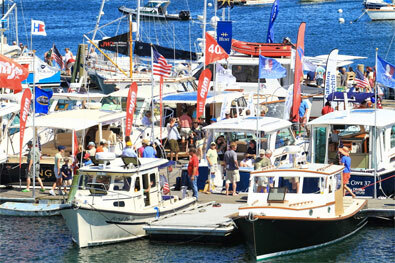 The Maine Boat & Home Show is produced by Maine Boats, Homes & Harbors magazine, which has brought the best of the Maine coast to readers since 1987.